A “continuation bisque” is an additional shot played from where the striker ball stopped after a shot. If a continuation bisque is to be used, the striker must announce the intention before beginning the extra turn. In order to use a continuation bisque, the player must have earned an extra shot during that turn. a continuation bisque may not be added on to another continuation bisque, or taken if in the preceding shot, a fault occurred or a ball was sent out of bounds resulting in end of turn. When a replay bisque is taken, all deadness is first restored to what existed at the beginning of the shot that is to be replayed. Then, as the new shot is played, and in all other bisque play, deadness develops in the standard way. If the striker replays a shot or plays an unearned continuation shot without indicating the intention to take a bisque, the striker has played out of turn (rule 11.1), all balls affected are replaced, and the next turn begins. When the striker indicates the intention to take a bisque, a new shot clock shall begin. In doubles matches, a team handicap is determined by averaging the partners’ handicaps. For example, a 2 and a 4 have a team handicap of 3; a 5 and a 7 have a team handicap of 6. The side with the higher team handicap receives the number of bisques equivalent to the difference in team handicaps. In the example above, the difference would be 3 bisques (6 minus 3). If the difference between the average handicaps results in a ¼ bisque, this is rounded up to the next ½ or whole number (for example, 2¼ bisques become 2½ bisques and 2¾ bisques becomes 3 bisques). Unless the tournament regulations provide otherwise, only the higher handicap player in the team receiving bisques may use them. If both players on the bisque-receiving side have the same handicap, or if the tournament notification and entry form so provide, rule 15.3b does not apply and either player of a side may use the side’s bisques. For example, a side made up of two players with handicap 5 receiving three bisques may opt to have one player use all three bisques, or to have one player use two bisques and the other player one bisque, at their discretion during the game. A side need not declare in advance how it chooses to allocate its bisques. The two opponents will play to the net difference in handicaps and where the handicaps are the same no bisques will be given. Where the handicaps differ, the lower handicap plays at zero and the higher handicap player receives the difference between the handicaps. For example, player A has a handicap of 2, player B has a handicap of 4; therefore, player A plays at zero and player B plays at 2. 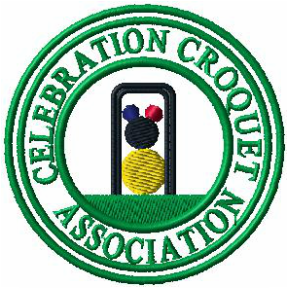 In singles matches, a player may use the bisque quota between both balls.